The British Archaeological Association was founded in 1843 to promote the study of archaeology, art and architecture and the preservation of our national antiquities. It encourages original research and publishes new work on the history of architecture, art and antiquities of Roman to post-medieval date. 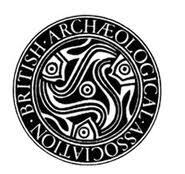 Browse all titles by the British Archaeological Association.